When I was a little girl, my mother said she saw a dragonfly at my birth. Since that day it seems they follow me everywhere. When I was younger I used to shirk my chores and take my favorite book to the elm behind our house. Safely tucked somewhere beneath the boughs and limbs I could read for hours and the dragonflies would nest my hair and flutter around my floral print dress. When I was fifteen I once stuck into town and spied on a gentleman who was staying at the pastors parish. He had a dragonfly pin on his lapel. Oh, how I longed run my hands over that gemlike surface! The next time he caught me watching him, he offered me some of the orange he was eating. I remember that his eyes shone like opals as my bare feet soaked up the juices that dripped from my chin. 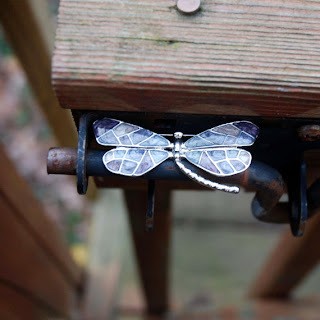 That night I had a dream--a dream of dragonflies. I rose from my bed, nightgown clad and dewy eyed from slumber, and ambled outside, down the small path that led behind our little home to the well. Inside its deep surface I saw a face--the most beautiful face I have ever seen. She was pale, and dark haired, with little rosy cheeks and a purple gown that shimmered like the sunset on a rainy day. "I am the dragonfly pin" She said. "Please help me, for I am a captive! Natine is my father, and my mother was a dragonfly, as was your father. My mother loved Natine, but he wanted only her beauty and her wings." When I awoke in my bed the next morning, I walked down to town and peeked into the traveler's room. 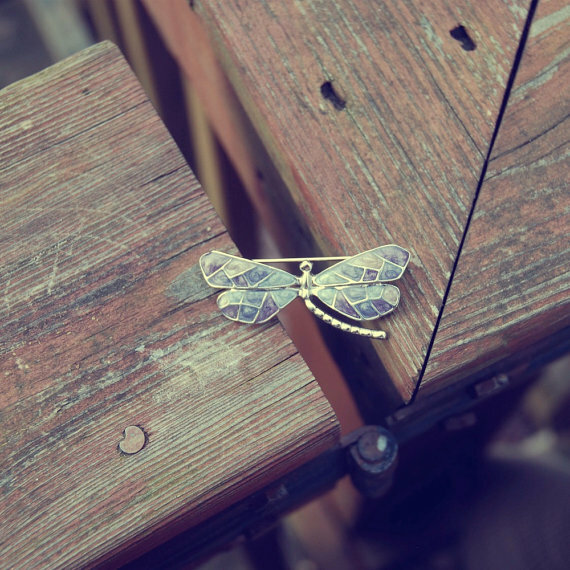 There was the dragonfly pin, on the table! I scrambled through the window, and snatched the pin from his bed side, my feet already turning to dash back from where I came. But when I turned, I found only fog, and Natine. "Dear heart," He said, "Thank you for freeing my daughter"
And that is when I understood that I had been deceived. For only a dragonflies daughter can take the place of a true dragonfly in Otherwhere. And the only reason a dragonfly man would love a human women is to create such a child. Now I am here, in this world of fog and mist and mirrors. All the while, dragonflies still follow me.